In this episode of the Closer's Podcast, training guru, Alyssa Hellman speaks the truth about what real estate training works and why agents won't adopt your technology. If you are interested in increasing your ROI, then Alyssa Hellman has some advice for you. And we plan on putting every bit of it into practice. After several years as a highly successful agent herself, Hellman began to pinpoint what training and when actually made a difference. Awards may be nice, but what actually matters is what you are doing every day. How do you make every second count? What does it actually take to see the ROI in your business investments? The glaring inconsistencies between money spent on technology and money spent on training in real estate. If you are investing in tech and tools, but your agents aren’t adopting them, what is the disconnect? Why leadership should be an expert in anything and everything you roll out. The value in treating vendors as partners in the age of endless technology choices. What is the first thing you should tell beginner agents in training? *This episode was recorded when Hellman was at Go Realty, but you can now find her sharing some serious training knowledge as Bamboo Realty’s Head Coach. Rivers: Before we really get started Alyssa, why don’t you just tell us a little bit about yourself, what led you into the real estate industry and any other things you want to share. Alyssa: Sure, so I started in the real estate industry in the Washington D.C. market. I was about 24 years old when I started and kind of the interesting part about starting at 24 in the D.C. market is the average price point is over half a million dollars and you’re 24 years old, not that many people want to work with you. I kind of from the start of my career had to figure out what would set me apart? What was my value? What was special about me and why would a client want to work with me versus somebody that had tons of experience and tons of these tools and all of these things? My knack for training really came from when I started in real estate because I realized very quickly that I was going to need to learn as much as I could as fast as I could. I committed myself to becoming a sponge, if you will, and going to tons of training events, tons of, you know, every speaker that came to town I was there and trying to learn and do and grow every single day, and that’s something that I’ve kind of taken on and continued throughout my career. Something that I saw what an impact it can have when an agent and a brokerage will commit to that and so I’ve tried to bring that throughout my career now at Go. Rivers: I think that sounds great, and I can definitely attest to that for our listeners. I think we’ve known each other what three or four years now, and you were a go getter from the second that I met you. Real quick, how many years were you actually a professional real estate agent before you moved over into the training space? Alyssa: Sure, so I got my first license in the beginning of 2011. I started real estate in 2010 as an unlicensed assistant, and I got my license in January of 2011. Then I practiced as a selling agent until 2014 at which point I was also managing an office in Washington D.C. but since late 2014 I came on at Go and I have been running their school since early 2015. Rivers: Okay, got you, so after a couple years in the space and practicing, selling real estate, being chosen for 30 Under 30, you had a lot of accomplishments. What made you make the jump over into the training side? Alyssa: Yeah, so I’m just not a big one for labels and awards. I kind of think that they’re all bullsh*t. I really think it’s more just what you’re doing every single day and as I was saying, I can attest at the impact that great training and great investment had on my career, and I think as new agents they’re particularly susceptible to not wanting to invest until they know it’s going to be a good investment. That’s very true of the entire real estate industry. People want to see their return on investment before they make the investment, and the problem is they’re forgetting that it is a return on that investment. You’re not going to see it paid forward, you’re not going to see the impacts happen immediately, and it takes work. Myself benefiting from that training and from that investment, it’s something that I felt really passionate about sharing with agents that come into our industry, because I think you also see a large fall out rate because there are a lot of brokerages that just aren’t willing to invest in these agents and invest in new agents and mid level producers in the way that they’ll invest in top producers and for me that’s just so backwards. Rivers: Can you give us your thoughts on that trend, of why there’s this gap between the amount we spend on the tech and the amount of time and money we’re spending on training? Alyssa: Yeah, I mean put very simply, I think it comes down to, unfortunately, a laziness factor. You see brokerages, if you look at any brokerage’s budget you’re going to see a significant investment in technology and tools, and a pretty minuscule investment in training and even though the numbers get larger with the larger brokerages and what they invest in training, and that can sound impressive when you hear such and such brokerage who invested a million dollars in training this year, well they’re probably investing $5 million in technology and tools. When you’re putting it in context it’s really not all that impressive. I think that is so backwards to me. It’s like technology and tools undoubtedly are really important. It’s something that we have invested in heavily at Go, through our partnerships with BoomTown, through our partnerships with Contactually to additional partnerships that we have, and we believe that this shouldn’t necessarily be things that are constantly created by the agents, but the problem is if you’re investing heavily on technology and tools but your agents aren’t adopting them, there’s some sort of disconnect there. There’s some sort of, the agents are never going to see that return on investment that you want so badly as a brokerage because they don’t know how to use them. We really believe in the value that you’ll get out of training. I think it becomes a lost cost for technology and tools when you’re not willing to make the appropriate investment in training. I think companies would see a much larger adoption and frankly a return on investment if they either swapped the technology and training budget or at least spent the two more evenly. Rivers: Yeah, so something that’s commensurate with the investment they’re making on the tech side. I think we know that the technology doesn’t actually sell real estate for you or talk to clients for you, or actually make the money for you, and we se that quite a bit. Without the training it doesn’t matter if you’re using BoomTown or an Excel spreadsheet, you’re still not going to work for you. I mean that being said, when you’re bringing new technology one of the hardest things you’re going to get is actually your agent, your team, the people that are working for you to adopt it. What’s the approach you take at Go Realty at the Go School, what’s the approach you guys take with getting the agents to actually adopt it short of saying you have to use this program, if you will? Alyssa: Yeah, so first off that would never come out of our mouths, so never say an agent has to use something, but with technology and training, take something as simple as Legos, like a children’s toy. I mean you have little kids Rivers, if you buy a Lego set they come with like hundred page instruction books of how to put these things together, and these are building blocks that literally just connect. You don’t have to set up an account, you don’t have to figure out how to write templates, you don’t have to do all of these things that you do with technology, yet the training element, the instructions of it is still 100 pages. I was looking at things like that and I was saying there’s totally a disconnect here. One of the things we do at the school and at Go is we are huge on training. We believe that part of rolling out a product is ensuring that we as the leadership are also experts in whatever we’re rolling out. What we don’t want to ever have is an agent calling us or messaging us and saying “You know, I’m having trouble with this thing on BoomTown” and us just say “Well email support of BoomTown on boomtown.com.” To me, that’s us not doing our job and not fulfilling our obligation to our agents. We all believe that, that’s a cultural thing for us and so we as the leadership invest ourselves in first off, knowing the products, knowing a product and being able to answer the question. Then what ends up happening over time is because we have kind of practiced what we’re preaching of really becoming experts in these products. Part of that is we don’t tell them that they have to, we say “Look, this is how easy it can be. We’ve all learned how to do it.” Then organically something beautiful happens, organically you get the in house power users that just love that product and learn even more than what the experts know. I would argue that we probably have some agents within our brokerage that could work for your customer support team at BoomTown, to me I don’t say that as a knock at your customer support team, I say that because I’m so proud of those agents and I believe that it’s this culture of training, it’s this culture of knowing and it’s this culture of sharing that knowledge with everyone at the brokerage instead of just having oh Alyssa, she’s the one that’s going to know things about BoomTown. They all want to know so they all are invested in each other and in the system that are. Frankly, as a technology company, something like BoomTown, we look at brokerages and I would hope that brokerages are rolling this out because what it also does in a good way for you all is it makes brokerages much more tied to these products. It’s a lot harder to discontinue a product that 80%, 90% of your agents are using then it is to discontinue a product that never actually caught on. Rivers: No, and you guys are in a bit of a different class in that you treat your vendors as partners and not as vendors, and that chimes through top to bottom in your organization, so I can see how learning the product, knowing the product and then creating successful agents who then are finding success through the product, that definitely adds to adoption internally. Alyssa: Yeah, it’s also a unique experience too since our agents work to become experts, a lot of the small, minuscule problems I’m sure that your support desk gets phone calls on, you know, you’re not getting those phone calls from Go because we’re able to solve those things in house, and it becomes this is something that Go is providing you, versus that’s a BoomTown thing. That’s part of why we really treat all of our vendors as true partners because we want our agents to also understand the value that we’re investing in it. We’re investing in the best products that we, things that we believe are the best products and offering them to them and training our agents on them because we believe in the best of the best. It totally changes the conversation that our agents have with our partners and with other vendors. They get to see, like one of the first things that we’re going to evaluate when we look at a potential vendor or potential partner is their support team. Are they willing to just send you off to a different person, or are you going to have one person that’s taking you though from start to finish? Are you going to have one person that is getting our agents answers and is invested until the question is answered or the problem is resolved, versus are you going to have somebody that shoots them an email and says “Try this” and then a different guy that says “No, try this” and you’re having to retell the story. We’ve all been clients of like Time Warner Cable or these awful, awful vendors that you’re having to rehash the problem every time you call in to customer support. What we find is because we’re training so heavily and because we’re choosing our partners so selectively, that’s never going to happen to our agents. Rivers: That makes a ton of sense, definitely, definitely good approach that you guys have. All right, let’s shift gears then for just a second and you spend, now that you’re on the teaching and training side, you’re spending the majority of your time with new agents, right? What advice would you give to new agents or to people that are entering the real estate industry for the first time? Alyssa: I guess my advice would be two fold. One would be to approach everything with an open mind. When I first started in real estate my managing broker at the time gave me the advice, I wasn’t too into coaching and this training. He said just go to all of them when they have an event and see what resonates and see what fits. I thought that was great, great advice at the time and still now, is approaching it with an open mind and not going to anything to figure out what the solution is, but going to see what resonates and you go to these events, and when you go to these events you expect to come home with a list full of take aways, but it’s okay to come away with one or two take aways. The other piece of advice that I would probably give new agents is consistency. You have to, I’m always reluctant to say this because I can’t stand brokers who say “You need to have six to 12 months of savings if you’re getting into real estate, because you might not do a deal.” To me that just sets a negative precedent. You should be doing a deal, there’s no reason why you can’t be doing a deal. We put our agents through training where 90% of our agents are doing a deal in their first 90 days with us. You don’t necessarily need to prepare to have six to nine months of savings so that you don’t do a deal. You do need six to nine months of savings for is to make sure that whatever you commit to you’re able to be consistent with. I think we can speak to most technology and tools and lead generation sort of things, you’re looking at six to 12 months minimum to start to see a return on investment. We’ll see a lot of agents come in and say “You know, I’m going to spend $1,000 on advertising this month” and the next month they don’t have any closings and they’re all pissed off. The reality is you’ve got to do it a little bit longer than that. Even professional ball players get a strike sometimes. Sometimes you’re going to swing a miss and even the top teams, they don’t close every appointment they ever go to. It really is a numbers game and realizing that staying consistent is the key to being able to predict your future success. Rivers: Be open minded and be consistent, I like it. Rivers: Again you’re working with probably a lot of younger agents in the role that you’re in now. 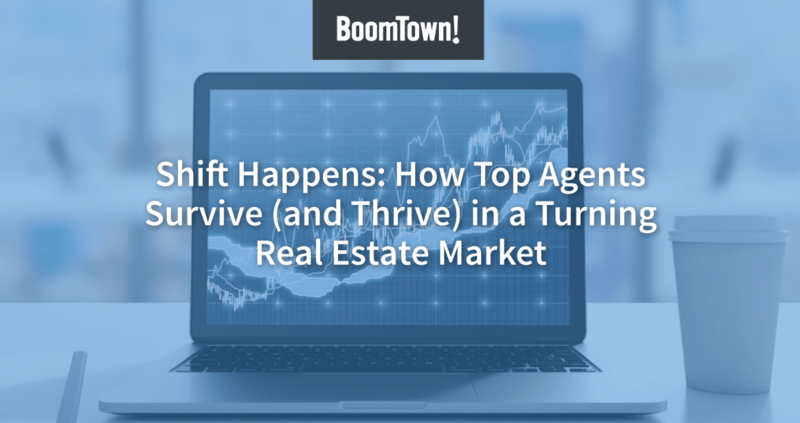 Do you see a tendency with younger agents towards more of a collaborative type of environment to the real estate industry, as opposed to the older agents that have operated heavily before the dawn of the Internet if you will, or the rise of real estate technology. Alyssa: I can say this because I’m a millennial, but I see two things with younger agents. I do see that collaborative, that desire to collaborate and that desire as soon as they get in they do want to come to the office and they do want to work together and do things, but I also see with a lot of young agents the inability to truly focus on a few things. You see a lot of agents try one thing and then immediately move to the next thing and the biggest problem with that really is you’ve got to be able to stick with something long enough to see a return on investment and the impact that it can have on your business. My advice is to a lot of new agents is do fewer things more often. I do think that’s a generational thing. The other thing is absolutely agents, millennials in general but agents definitely are more collaborative. We have a very open work environment in all of our locations at Go, where we encourage agents to sit together and learn from each other and it’s a beautiful thing when you see it. It’s a beautiful thing to watch how learning by osmosis happens. Rivers: Mm-hmm, it sounds like it’s more organic, it sounds like. Alyssa: Yeah, and I think that’s the big thing that we in leadership have seen with our agents is we want to teach them, and it’s a lot like parenting. I draw a lot of correlations between parenting and leadership, and I don’t mean that in a condescending way at all. I mean that in a, if you’re parent or your leader is always telling you don’t do that, do this. Don’t do that, do this. Eventually it becomes kind of like that muffled noise that you hear on Charlie Brown, versus if you’re hearing that from your broker and you’re also hearing that from the other agents that have tried that and not seen it work, or tried other strategies and they’re learning from each other, it has a different impact. I don’t want it to always come from me. I want it to come from the group. I’m also not always right. I think that’s the other big thing. Brokers in charge know a lot but they don’t know everything, and even while in a regulatory state they should know a lot more, there’s a lot of different experiences in real estate that happen, and there’s a lot that can be learned from your average agent that’s selling every single day that potentially isn’t going to be learned from your broker in charge. Rivers: It sounds like the consistency and the theme of open mindedness and continually learning, you know, success begets success, so I think you guys are proving that model out. All right, we’ve got one last question here, it’s kind of a two part. I wanted to kind of get your thoughts on where do you see real estate training moving in the future, and then what about those teams or brokerages that don’t actually insist that their agents are training or having a solid training program in place? Alyssa: Kind of a loaded question. Where I see real estate training going right now is I think you’ll have to start to see the numbers proven, and frankly those numbers are proven. They’re proven at Go, they’re proven at other brokerages around the country that if you invest heavily on training as well as technology and tools, you can be extremely successful and you can see a huge return on investment. In terms of what I hope you see in real estate training, that is what I hope you see. I hope you see a whole lot more of it. I hope you see it be a whole lot more collaborative, but where do I see real estate training moving in the future? I’m not sure that industry wide that is what I see. I still see a lot of big brokerages and a lot of even small brokerages just want to invest in the tool or technology and simply come write the cheque and forget about it. I think you’ll start to see a sink or swim in the real estate industry because I do think we have only begum to see the surge in technology and tools that will happen around our industry and if they’re not paired with great training, we are going to start to see some of those brokerages fall out. I genuinely believe that. Team and brokerages that don’t insist on training, those are going to be the first ones to go. Rivers: That makes a ton of sense. I think, as you think about it, you know whether you’re a small broker, big broker, we offer training obviously, services and knowledge base and support team, etc. but I think what you guys have done is taken that to the next level by leveraging the technology and the people on our side here at BoomTown, but actually having embedded people within Go that are training and really creating some successful agents for the future. Really been great having you with us today Alyssa. Where can people find you if they want to get in touch or find out more about you? Alyssa: Yeah, so people can pretty much find me anywhere, I’m on Twitter @AVHellman, or you can also follow the Go School on Twitter or Instagram @GoSchoolRE. Rivers: Excellent, well thank you again for your time today and we will absolutely look forward to speaking with you again in the future. Have a great day. Alyssa: Absolutely, thanks for having me.